I thought it would be fun to break down my year by way of a few different series topics….today I wanted to share some of the awesome costume work/dress up I was able to do in 2016. I didn’t get as much done as I’d like…I wanted to go to about twice as many car shows but my work schedule has been something else. I’m really happy with how much work I got on my Valkyrie costume, which still isn’t finished, but overall I have no complaints on the fun dress up year it was. I had a blast and got in the mood for Halloween (it’s never too early, haha!) Costume was a rental, I made the shirt myself. Marcus was my photographer–check out the post here! 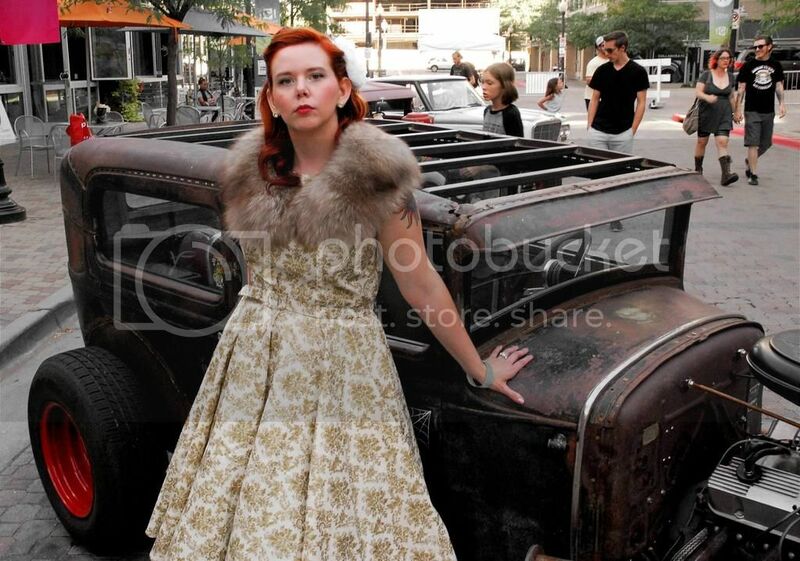 My very first bonafide pinup contest! This was such a hoot to prepare for, and riiiiiidiculously too expensive! 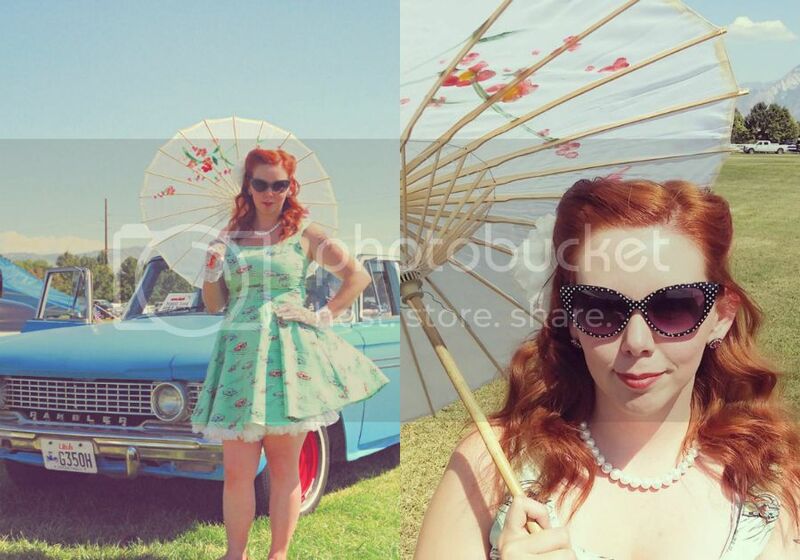 I actually went to a salon for my hair (but the style was my own vision) the dress is online, I forget the retailer whoops, the gorgeous mint petticoat was from Retro Betty, and the shoes and stole were thrifted. Spoiler, this was my favorite dress up all year. 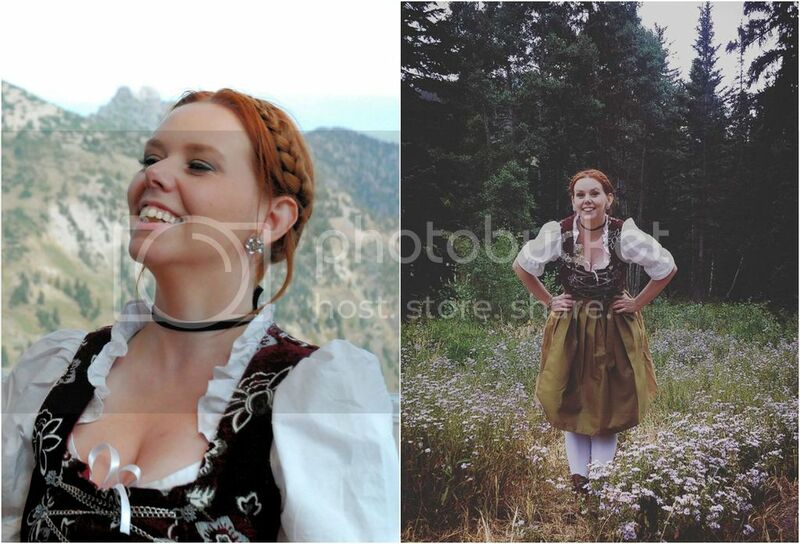 I have longed after the beautiful German dirndls only my entire life. Even as a kid reading Heidi I saw the look and was like THAT’S HOW I WANT TO DRESS EVERY DAY. I would legit wear this every day if I could!!! The dress was bought on Amazon and it’s actually quite nice quality, for the price. I paired it with some Alpine boots and white leggings. Alas, it was still too cold for September in the Wasatch mountains. Oh well, worth it. 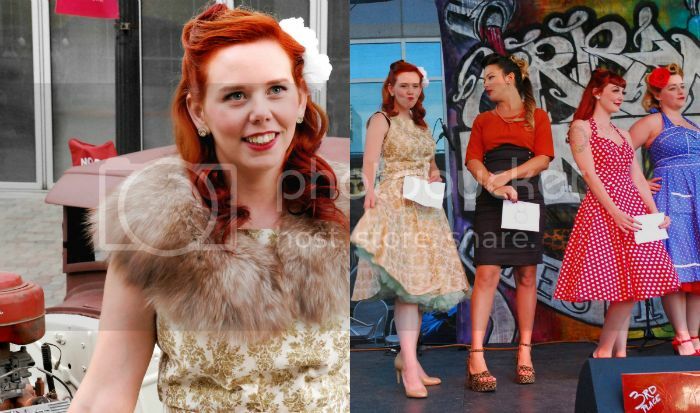 Looking at these chronological photos it’s almost like my costumes got bolder and more outlandish every time, haha! It’s actually kind of true, I got more and more comfortable dressing up and once this idea popped into my head for Halloween, I was working on that helmet like some madwoman in a fever dream. 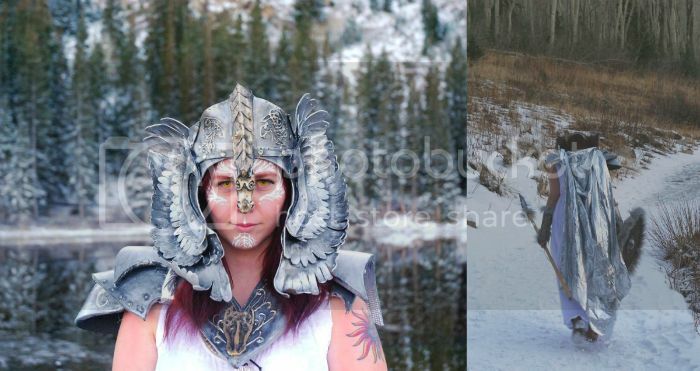 The mask was made by me, the shoulder piece/torso (like 10% finished) was made by Allyn, and the shield and dress were bought and erm…customized. I am already planning quite a few costumes and car shows for 2017, so things can only get better! I love your pinup contest entries (I totally love those dresses for every day use as well, without the petticoats etc though), but I'm simply blown away by your Valkyrie. Whoa! Thank you! I agree, but I always seem to get "who/what are you supposed to be" questions when I attempt to wear them out….sigh. But the car one is totally doable as a "normal day" dress. It's just reeeeeeeeeeeally short.